It's December in the desert, and after five Christmases spent in the Mid-Atlantic and the Northwest, it was a bit of an adjustment to not see snowfall out our window and not have the opportunity to visit a local Christmas tree farm this year. 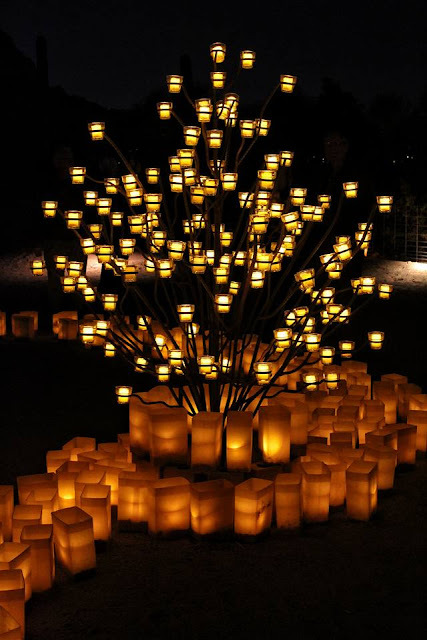 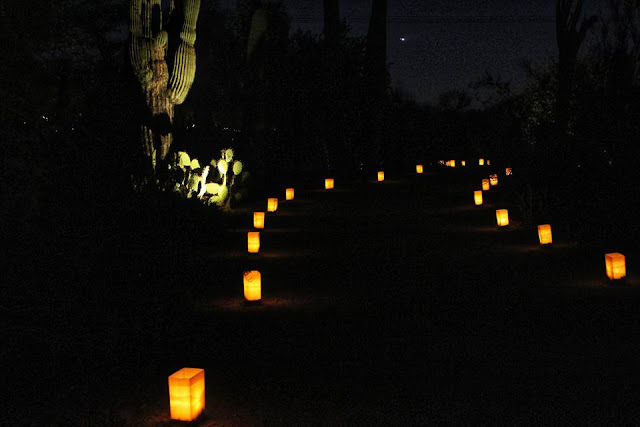 That is why we leapt at the opportunity to make a new holiday tradition together at Las Noches de las Luminarias, an annual event at the Desert Botanical Garden here in Phoenix. 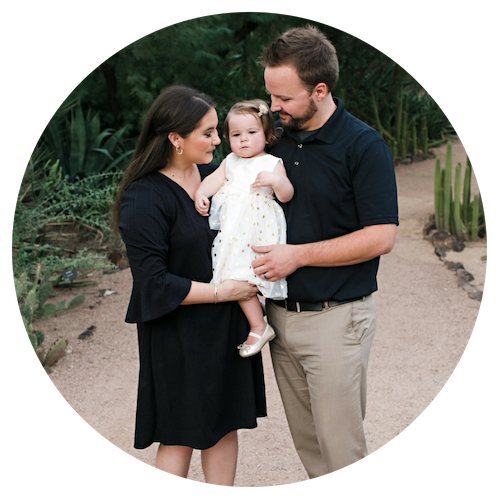 We have been visiting the Desert Botanical Garden since 2010, but are now proud members of the DBG, which was founded by the Arizona Cactus and Native Flora Society in 1937 to help conserve the beauty of the desert. 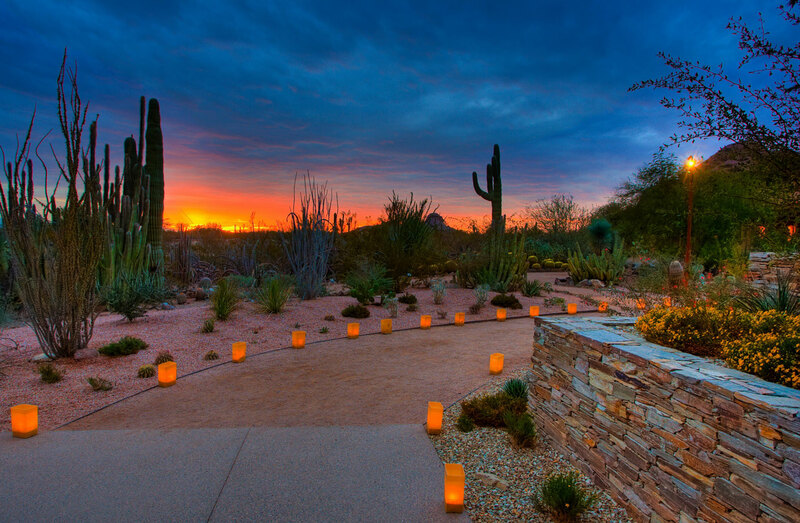 Today, the DBG features over 50,000 cacti and plants (including 139 species which are endangered, rare or threatened) on 140 acres. 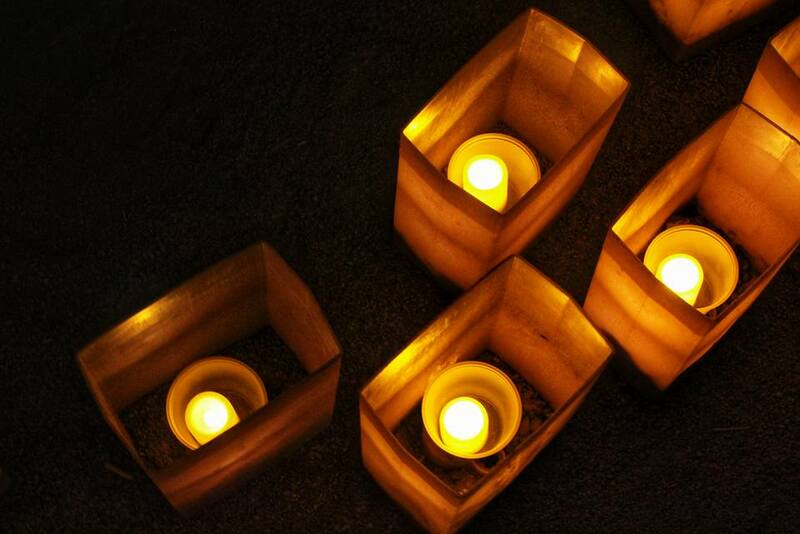 Luminarias are small paper lanterns traditionally lit to celebrate the Christmas season in the Southwest. The DBG features over 8,000 hand-lit luminaria bags and displays during "Las Noches de las Luminarias," which we had an incredible time viewing on our date night. 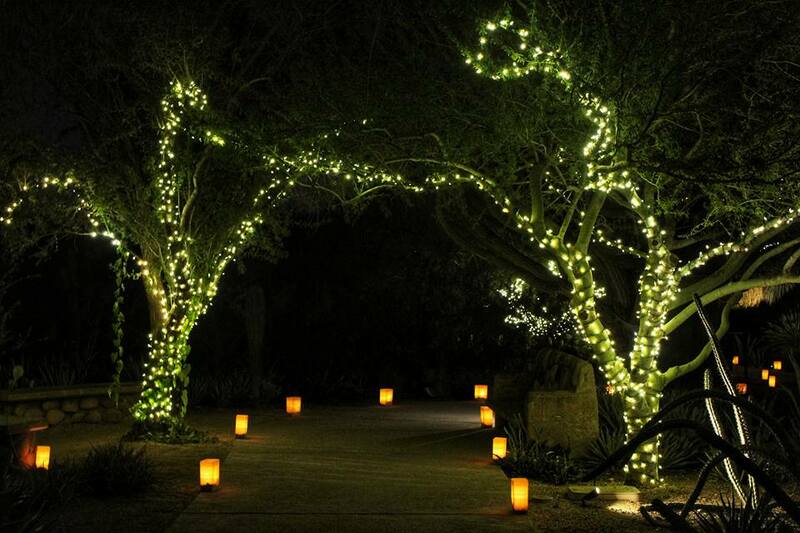 The "Las Noches de las Luminarias" event was exactly what we needed to get us in the Christmas spirit for the holidays, and we are looking forward to making it a family tradition with Roselyn in the years to come! 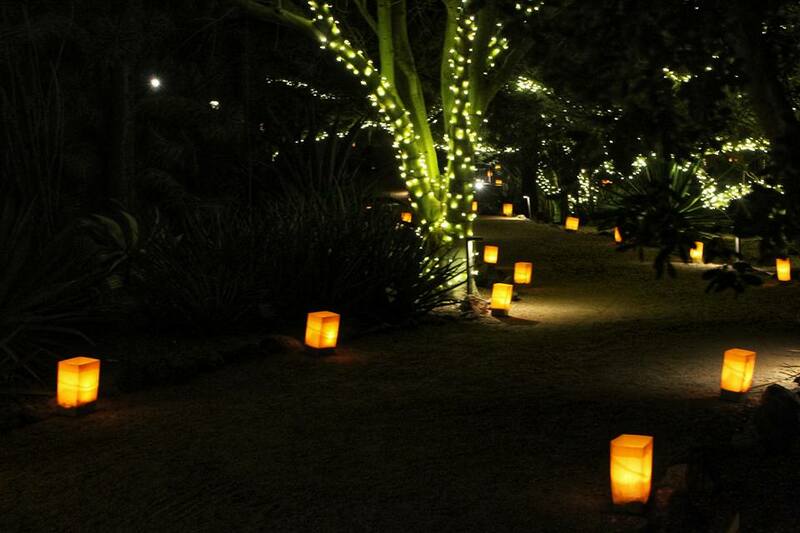 We highly recommend the event to anyone in Phoenix or anyone visiting the Southwest during the holiday season. 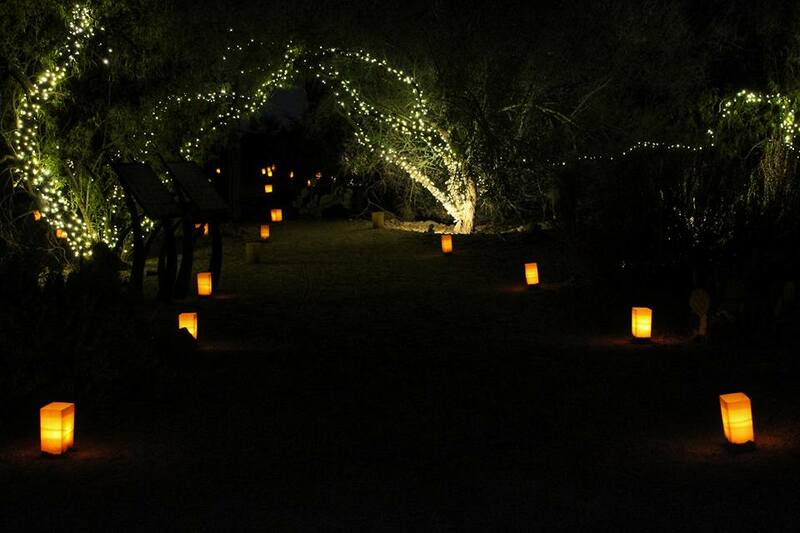 You can find out more about the event on the DBG's webpage.